Hi, support team, we have small problem, which is label of email and password fields not show. It happens when we chose turn on option from configuration page "Registration Integration". 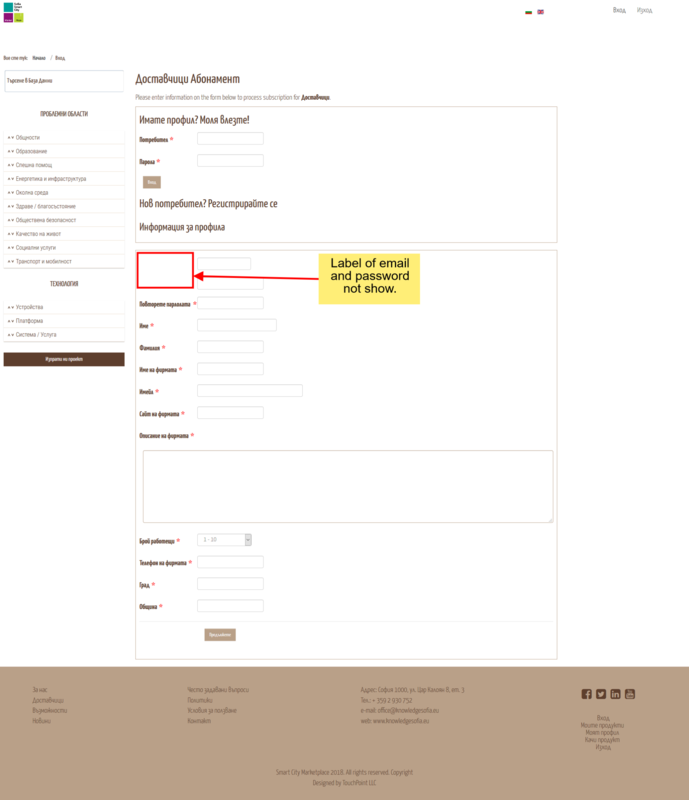 See "using registration.png", when we go login form and chose some plan, on login page not show labels of email and password field on registration form (second one see label-not-show.png). Sow how to fix that? Could you please send us link to the page so that we can look at it and guide you? Step 2. You will see registration form, second one, first one is login form. Second one first two fields not have labels. Last edit: 2 months 2 weeks ago by Viktor Tinev.